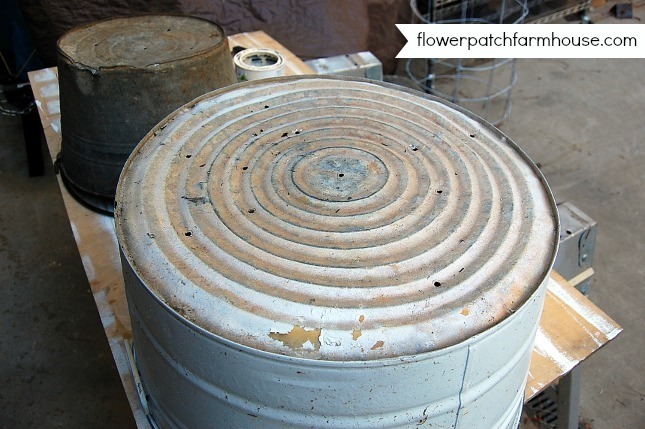 What do you do with some old galvanized buckets especially if they have holes in the bottom??? 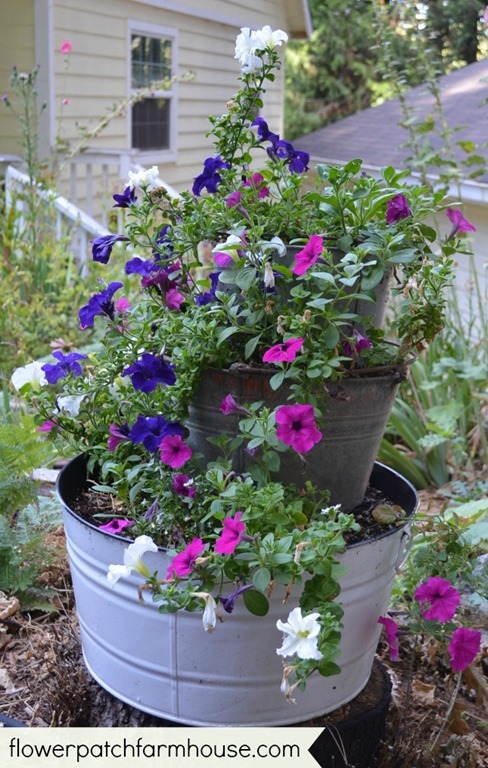 you make a fabulous planter that lets your petunias cascade down the side with style! Truthfully, I did this last summer..and LOVED it! Every time I drove up and I spotted it, it made me smile. For those of you that missed it here is the run down. For this to work you need them in descending sizes. For the ones that don’t have holes..or the holes are not large enough, then whip out your drill and drill some. 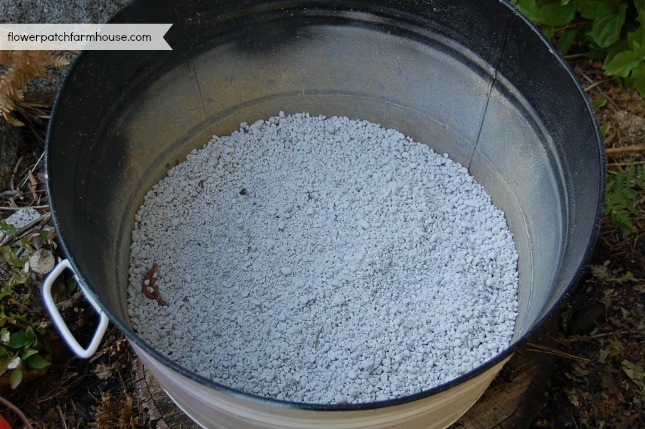 Add a good inch or two of perlite…it keeps the roots nice and airy. 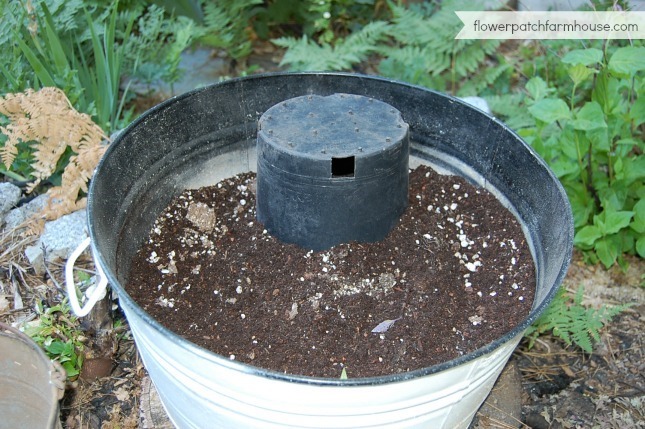 To save on potting soil and to give some support to your second bucket, add an upturned pot, this is a typical 1 gallon black nursery pot. 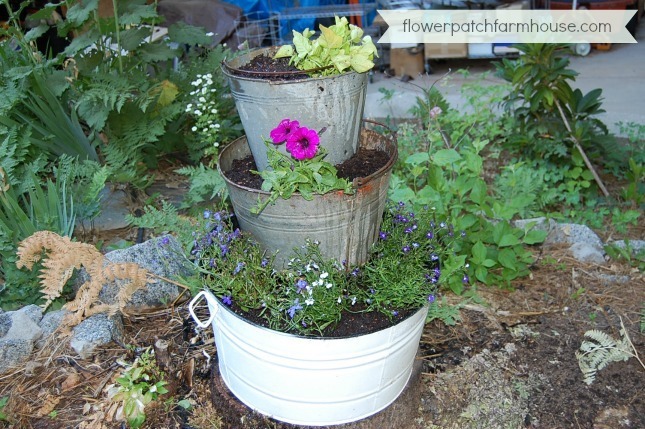 Just stack your buckets and fill with a good quality potting soil. The topmost bucket did not have much of a bottom (rusted out) so I just plopped it on top of the soil of the middle bucket. 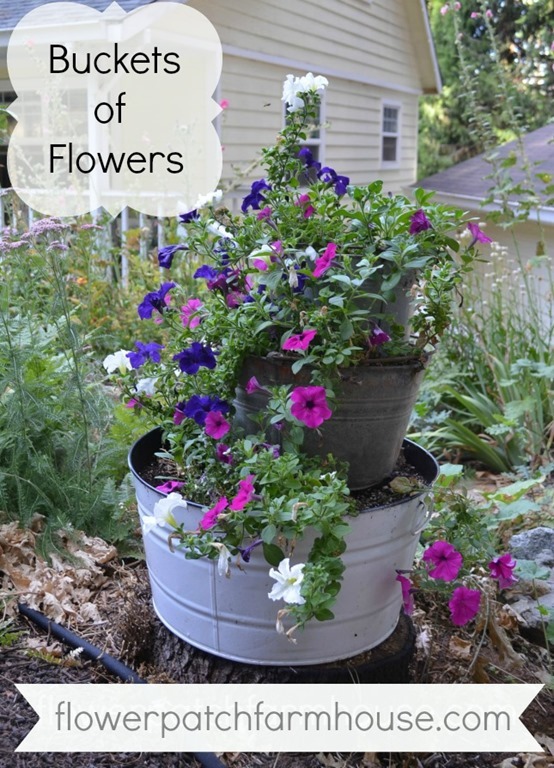 Plant it full of your favorite flowers…and.. Voila! Instant gorgeous planter for your enjoyment. I prefer to use trailing plants but this would look great with succulents too. Switch out the flowers seasonally. In early Spring I had violas spilling out and delighting our eyes. I love your buckets for planting. Super cute Pamela. I love it’s rustic charm! Thanks for sharing with SYC. Rustic charm is the perfect description. 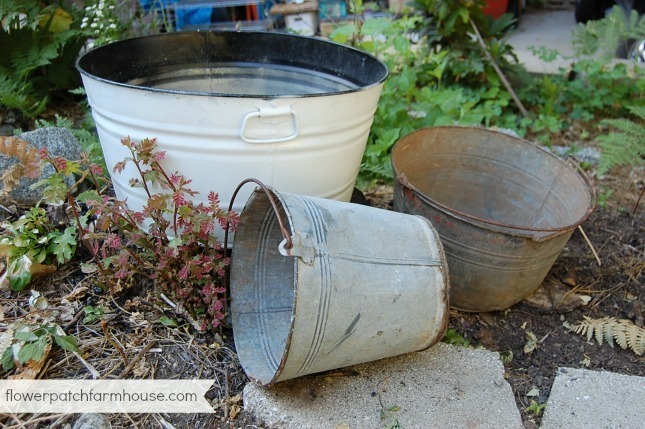 I am trying to find more ‘rustic’ buckets and tubs but they have become so popular that it is a difficult task now. I need to try some of the tricks to ‘deshine’ some newer galvanized buckets.